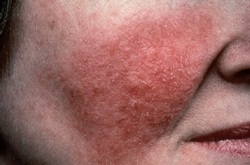 There is a particular type of eczema that affects millions of people worldwide. 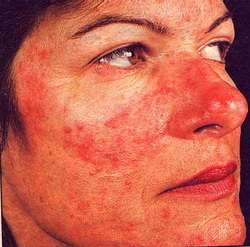 It is called dyshidrotic eczema, or dyshidrosis. I have written an article about it because I am affected by it. The salient characteristic of this eczema is tiny blisters, tapioca-like that occur between the fingers and toes. If the condition worsens the blisters can spread to the bottom of the feet and the palms. If it gets worse and is not treated, the blisters can get larger until adjacent blisters become larger blisters. Eventually, there is the possibility that there is cracking of the skin (usually due to excessive scratching), bleeding, and crusting. There are definite steps to treating this eczema which physicians can deal with rather quickly. If remedial steps do not improve the condition, you need to see a doctor. You may need a strength of corticosteroid cream which can only be prescribed by a physician.